Casa Sola one of the ancient toponyms of the area is situated in the municipality of Barberino Val d’Elsa in an ideal central position to use as a base for exploring all of Tuscany. Among vineyards, forest and olive groves, Casa Sola is located in the heart of Chianti Classico area where the scenery is suggestive and uncontaminated as it was ages ago. In the town of Barberino V.E. at approximately 30km from Florence, 28km from Siena and 90km from Pisa. Casa Sola covers a total area of 120 hectares, of which 30 are vineyards and 40 are olive groves. The remaining terrain is made up of fields and forests which help to create an enchanting view… quiet and green. The company’s offices and reception are located in the centre of the property at the main villa: here you will find us at your disposal to help you discover Casa Sola, its products, its charm and its surrounding areas. On the side of the offices is the heart of our company: you can find the fermentation and aging cellars. Here passion, experience, tradition and innovation are devoted to the constant strive of obtaining the maximum potential from our grapes. On two hills equidistant from the company centre, immersed between cypresses and olive trees, the Poderi Montarsiccio and Ticciaia emerge – splendid colonial houses which have been renovated and equipped for a pleasant farm stay. The beauty of the spot and the breathtaking views which can be enjoyed at Casa Sola allow our guests to indulge in full relaxation in the life and the culture of Chianti. Casa Sola possesses and ancient vocation for agriculture, proof can be found in the ancient and precious photographs which were discovered in the company archives. Here grew not only vineyards and olives but also grain and vegetables for the surrounding lands. Owners of Casa Sola for three generations, the Gambaro Family manages the company since 1960, transferring their passion and respect for this marvellous land into the wine and oil which they produce. 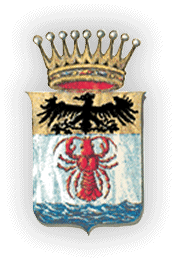 Under the management of Giuseppe Gambaro, Casa Sola had its greatest development and growth when in 1985 he decided to get involved personally in the management of the estate and began to work full time at the company, bringing his experience as a manager and his curiosity and passion for the fine things in life. He developed his knowledge in wine making by reading about the fantastic Burgandy wines, he cemented his studies with texts about oenology and viticulture, he practiced techniques and methodologies, and began a delicate process of vineyard, machine and equipment renovation and restoration. Driven – together with his wife Claudia – by the desire to share the beauty of the area as well as the excellence of wine, he used his real estate knowledge and worked to restore the colonial company homes and gave life to a magnificent agriturismo (vacation farm-holiday homes). From then on the story of our company has become that of our family. At Casa Sola it is the people who work with their enthusiasm, their passion and their competence which have allowed us to reach important results for our estate. A team capable of believing and achieving the objectives born from the “dream” of Giuseppe Gambaro and continues with their children Matteo and Anna. The growth of Casa Sola is the testimony of the energy and the commitment of those who every day take care of this estate. The 30 hectares of vineyards – all situated within the Chianti Classico territory – possess an ancient aptitude for producing wine of quality. At 330 metres above sea level, surrounding by forests, our vineyards grow on very permeable soil, rich in limestone and minerals. An excellent soil exposition and favourable microclimate help to create Casa Sola’s unmistakeable character. Olive oil is an important product for Casa Sola. Since the beginning, we have always dedicated great attention and care to our olive trees; today the extraordinary properties which the modern scientific theories attribute to oil, makes our actions just. At Casa Sola, the olive groves and the vineyards are staggered one from the other: the different crop rotation is a simple and effective way to create an natural barrier against the diffusion of parasites. And because oil mustn’t be only good but also healthy, we care fore and harvest our olives in a way thst we don’t have any need for chemical fertilizers or pesticides. In our olive grove, esteemed varieties of Frantoio, Leccino, Pendolino and Maoraiolo can be found. Through their natural characteristics, each of these help to give life to an oil with great nutritional and organoleptic quality. The wine cellar represents the heart of our farm. Here passion, experience, tradition and innovation blend together to reach the highest expression of our grapes. The Casa Sola wine cellar undergoes continuous innovation in order to guarantee an increasing quality oriented production. The use of different vats ( in capacity as well as material) consents a better vinification for the grapes consenting us to make a more diversified selection and in general it gives us the possibility to give a specific response to each grape selection allowing it to go through the proper work process. The temperature controls both in the fermentation process as well as during the refinement, represents a fundamental factor in obtaining a high quality production, it is for this reason that at Casa Sola even the finished products are stored in a large climate controlled room. Wine cellar capacity: 1170 hl steel , 1500 hl cement ,400 hl wood barrels, 350 hl tonneaux-barriques.